Virtuosic pianist Brad Melhdau first made his mark in the jazz world in 1995 with his debut recording Introducing Brad Mehldau and then in the classical arena in 2006 with his release Love Sublime with vocalist Renee Fleming. Mehldau is a dazzling and brilliant player who maintains one of the finest trios in all of jazz. The group's ongoing series of recordings which started in 1997 and aptly titled The Art of the Trio is an impressive body of work that is still evolving and has become the benchmark of excellence for any working jazz group. 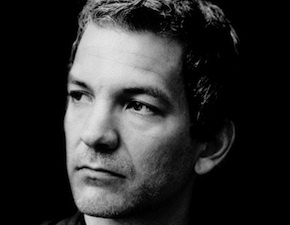 Mehldau has also developed into a fine composer in both jazz and classical styles as exemplified by his two releases of 2010, Highway Rider and Love Songs (with Anne Sofie von Otter). But for me, it is in Brad's solo works and performances where you really get a chance to experience the breadth of what this talented artist is all about. He is now releasing his third solo recording, Live in Marciac following Elegiac Cycle and Live in Tokyo. The latest features two CDs and a live DVD companion of the concert. What makes his solo outings and the Live at Marciac recording so exciting is the repertoire that he incorporates into his performances. His blend of jazz and classical styles, the American Songbook, unique covers of pop tunes and originals all seamlessly blend into a fulfilling and varied musical experience. His breathtaking command of his instrument is undeniable. But what he is able to say musically as a soloist within the context of each song combined with his improvisations is simply masterful. I have interviewed Brad many times over the years but this is the first time we focus exclusively on his approach to his solo work. The core of your playing successfully balances jazz and classical influences. Can you describe how you negotiate between the two styles in your playing? I draw on a lot of classical music, pop and rock music, music from Brazil, and other stuff. I listen to it for pleasure and enjoyment, and then a lot of it filters out in my playing. With classical music, there's a written canon there - you can study those scores. There's a good three centuries of stuff to check out - it's endless. Ultimately I think of myself as an improvising jazz musician at the end of the day, and one of my talents I guess is assimilating all of that written stuff and making it part of what I do. Tell us about the challenge and thrill of playing solo? The challenge and the thrill are one and the same - there is no net; there is absolute freedom. When jazz musicians improvise in a group setting, they are often following some sort of schema - often it's variations on the initial theme of whatever they are playing. When you are playing solo, you don't have to correspond to what someone else is doing. So you might take that approach, but you might decide to chuck it out at a certain point and go off on a tangent that doesn't formally adhere to what you've just been doing. That can be exciting and rewarding. The challenge there though is to make something with integrity - something that has a story to tell. One fun surprise of this concert was "My Favorite Things." It was not something I had played before - the Coltrane version is sacred to me. But I was going out for an encore and thought of it at the last moment, and it turned out to be for me anyways, one of the more compelling performances in the set - it had that story to it; it just kind of unfolded. Sometimes you find that and sometimes you don't; sometimes you find it with no preparation or context at all and those moments are always great for me. I suppose there is a broader context - there's the context of the Coltrane version that I heard when I was 13 for the first time and really changed my life; there's the context of the original from the movie, The Sound of Music, that I grew up watching as a kid. There's probably some sort of harkening back to childhood going on in my performance. How do you approach selecting material to perform in a solo context? I have several ideas before I go out on the stage, and I usually stick to around half of them. Some things that I thought I would play I don't when I get on stage because of what takes place when I get out there. For instance, if I play something that goes much longer than I originally intended, I will skip something else. I try for variety and often think of a multi-movement symphonic work or sonata as a model - you've usually got one movement that's more intellectual, one that's more simple direct, one that's fast, one that's slow, one that's in 3/4 time maybe, etc. - in other words, a variety of mood and texture. In all that, as I'm going along, there is some sort of abstract narrative that presents itself in a concert - I don't know how else to put it. Sometimes it will come in the form of themes that reappear in the different tunes I'm playing, or harmonic devices, or rhythmic motifs. That presents itself in the act of playing; it's not something that is planned out. Throughout your career you have put your own spin on pop songs written by artists such as Elliott Smith, The Beatles, Nick Drake, Radiohead, James Taylor and many others. How do select what pop song to cover? I only play songs I love - whether it's those ones you mention or Cole Porter or whoever. It's not because they're pop tunes, though - they're just what I think are good strong songs. One of the highlights featured on Live in Marciac is the performance of your original composition "Resignation." On the DVD companion, there is a special feature offering the viewer the ability to see the notes you are playing in live time. Tell us about the concept behind the music scroll? Philippe Andre is the musician who made this transcription, and it was really fun to view that. I had the idea of maybe presenting it in a scrolling format, as something that musicians, amateur or professional, might find interesting. Craig Anderson designed the music scroll and I'm very excited about it. This is the first scrolling score he made of my music, and since then, he has made one for the scores of two more recent efforts of mine: "Don't Be Sad" from my record Highway Rider, and "Dreams," a song that I wrote for piano and voice, that appears on Love Songs, a collaborative project with the fantastic singer, Anne Sofie von Otter. There are things that I don't like about all of the technological leaps that have been made in the last few decades, and one general one is that there is a kind of saturation of information which often has the effect of distracting us - we check out a little bit of this and a little bit of that but it's hard to stay with one thing. But there are also great things that have come out of the newer technology, and there was this opportunity to see and hear my music in a different way. When you get some creative guys like Craig, you can put that technology to use, it can be in the service of what you're expressing. Live in Marciac is your third solo recording. Tell us how it compares to your two previous solo recordings, Elegiac Cycle and Live in Tokyo, both personally and musically. Each solo record has been kind of a turning point for me - an end of one thing, and a beginning of something else. Live In Marciac is the beginning of a freer approach, I would say, and maybe more ease and fluidity in a musical texture with several simultaneous voices. It is the most related to where I am now as a solo player.